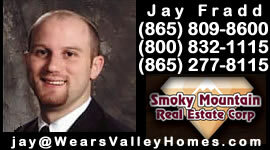 Smoky Mountain Area real estate forms, disclosures, contracts, and more. Residential Property Disclosure, Land Disclosure, TAR Forms. Below are the names of forms frequently used in East Tennessee Real Estate transactions. I use the standard Tennessee Association Of Realtors contracts for consistency and reliable use as they are prepared by lawyers with the most knowledge in real estate law. If you would like to preview the standard Tennessee Association Of Realtors forms & contracts in preparation to a potential real estate transaction all you have to do is e-mail me and I will provide you with a copy of the document. I have placed some of the more commonly used forms on this page. There are others I use, they are just on a less frequent basis.